SEGA is following in the footsteps of Nintendo, Sony and others with the release of their own retro console, the SEGA Genesis Mini. As with the NES Classic Edition, SNES Classic Edition, and Sony PlayStation Classic, SEGA is following the same formula, offering up a miniaturized version of their iconic 16-bit console that comes pre-loaded with 40 classic titles, including fan-favorites such as Altered Beast, Castlevania: Bloodlines, and, of course, Sonic the Hedgehog. 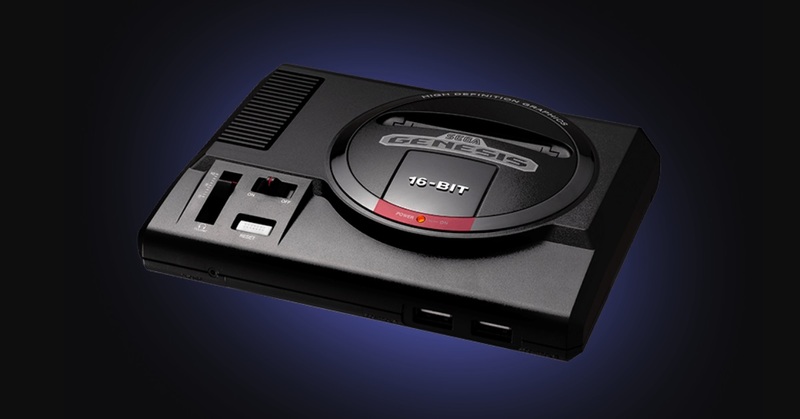 Last year, SEGA announced that they were planning on bringing the Genesis console back in miniature form, but originally it was only supposed to be released in Japan. 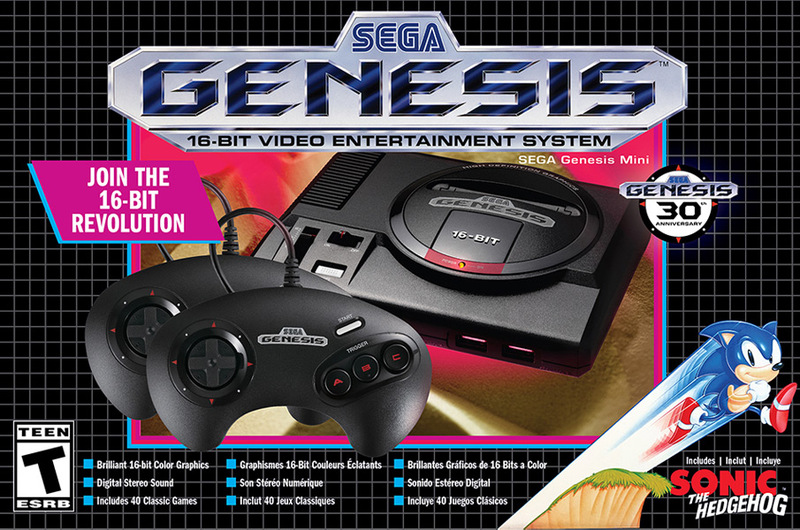 Apparently plans must have changed, because the SEGA Genesis Mini is no getting a worldwide release, with the console set to hit shelves on September 19th for $79.99. Seeing how successful Nintendo was with the NES and SNES reboots, it makes total sense for them to jump into the fray and try to get a slice of that nostalgia pie. But the challenge that SEGA faces is that AtGames already released a similar console back in 2017, not to mention various compilations offered for Xbox, PlayStation and Amazon Fire TV. The SEGA Genesis Mini stays true to the original console, except that it’s approximately 55% smaller than before. The console comes with two full-size classic wired 3-button controllers, plus an HDMI cable, power cable, and adapter. (For some reason, Japanese versions get six-button controllers, while we’re stuck with three-button ones). As for the remaining games, SEGA said that they will be “announced intermittently over the coming months.” Here’s hoping that all of my favorite childhood games make the cut, or else I’ll stick with the Sonic’s Ultimate Genesis Collection I’ve already got for my Xbox 360. That said, if this is anything like the Nintendo craze, you’re definitely going to want to place a pre-order for the SEGA Genesis Mini. Otherwise, you might find yourself waiting quite awhile to get your hands on one! Are you going to purchase a SEGA Genesis Mini when it comes out?